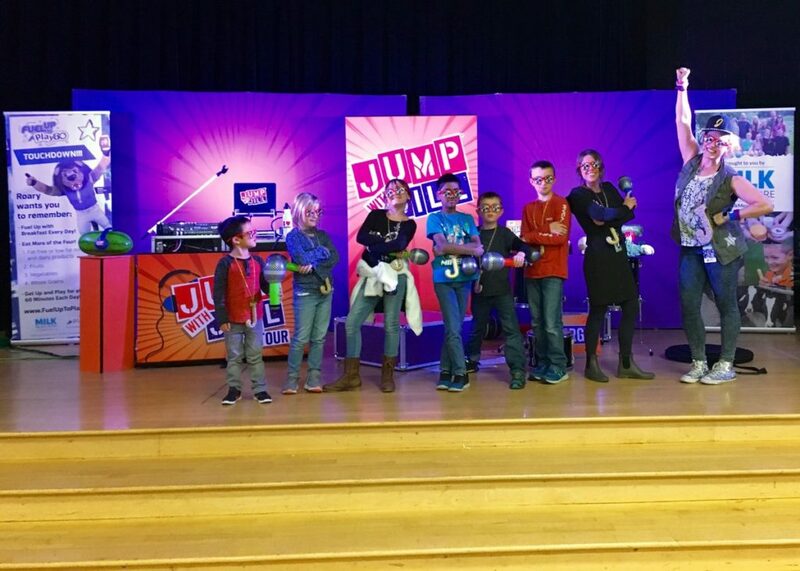 The Jump with Jill Nutrition Assembly—dubbed “the world’s only rock and roll nutrition show”—was held a five AAPS elementary schools last week. Haisley students listen to some nutrition tips during the rock & roll assembly. The assemblies—offered at Pittsfield, A2 STEAM, Dicken, King, and Haisley—came at no cost to the district thanks to the United Dairy Industry of Michigan’s Fuel Up to Play 60. Founded in May 2006, Jump with Jill uses music and dance to celebrate healthy habits in a live interactive concert. 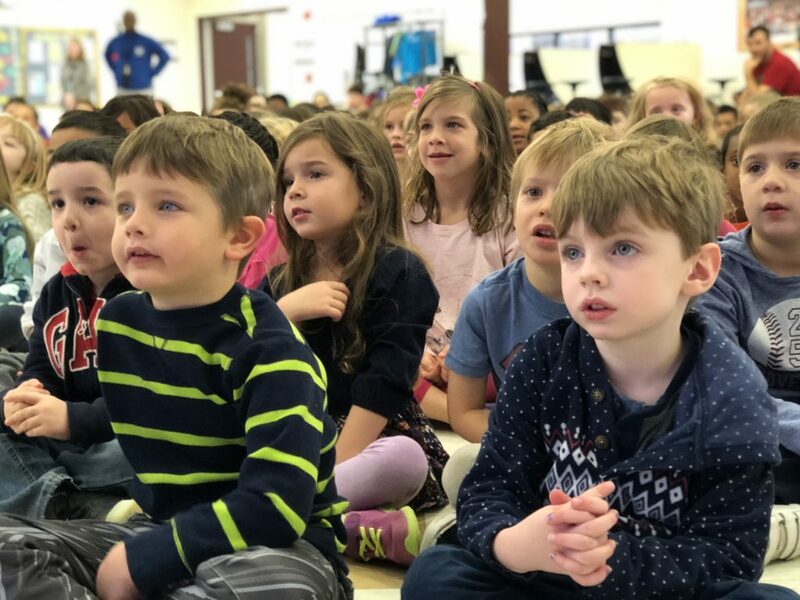 Designed for grades K-6, the show is performed around the country at school assemblies, public events, and conferences. King students join the fun on stage last week at the Jump with Jill Assembly. All comments will be screened and moderated. Please note: any comment that appears to be spam or attacks an individual will not be approved. This is not an assembly, it’s a forced advertisement. The Milk Council wants to make sure kids consume its product. AAPS should not allow companies to profit from children missing class time!